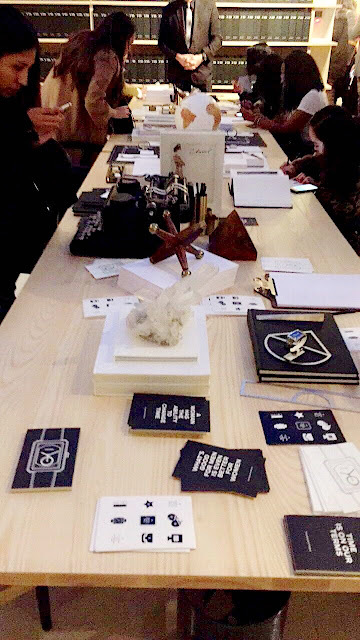 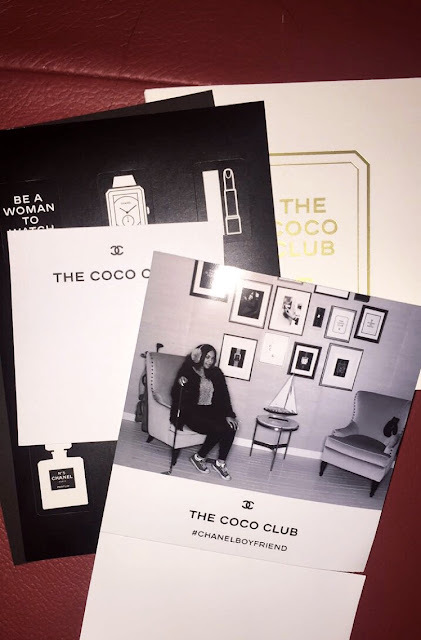 The Coco Club was a pop-up by Chanel celebrating the release of their Boy∙Friend watch collection, November 12,2017 at The Wing in Soho, NYC. Chic and exclusive, It was the classy and fabulous woman's version of a Gentleman's club. Upon entrance, you were granted your club membership card. 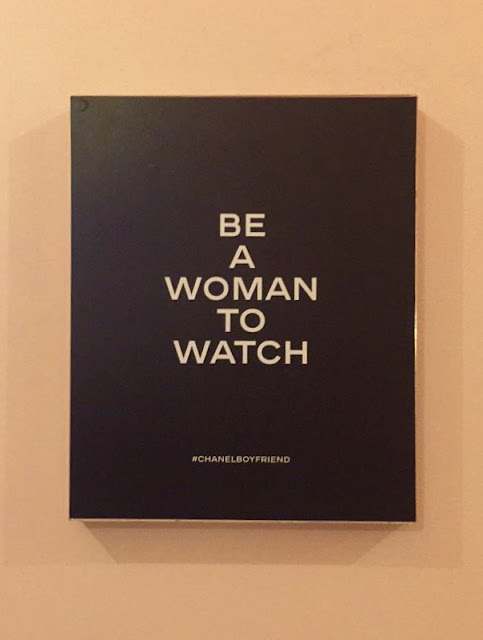 Then, had a mini photo shoot to produce your member ID Photo and super cute GIF reminding you to "Be a Woman to Watch." 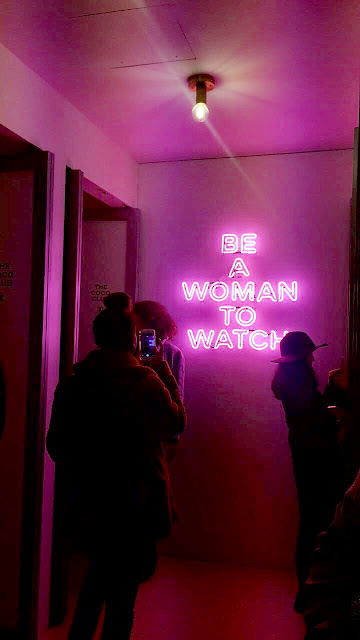 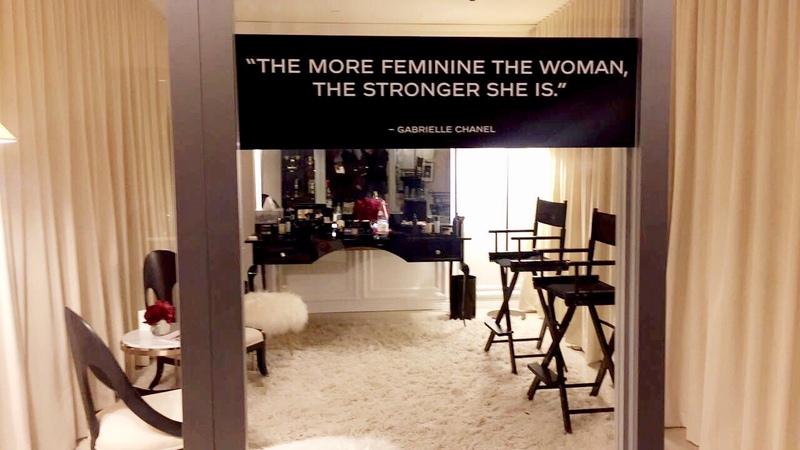 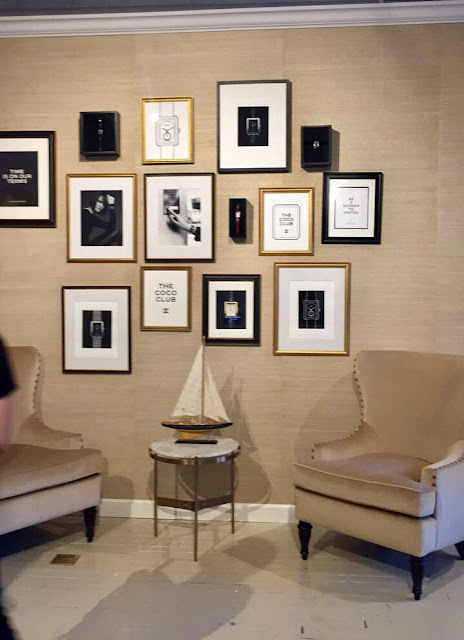 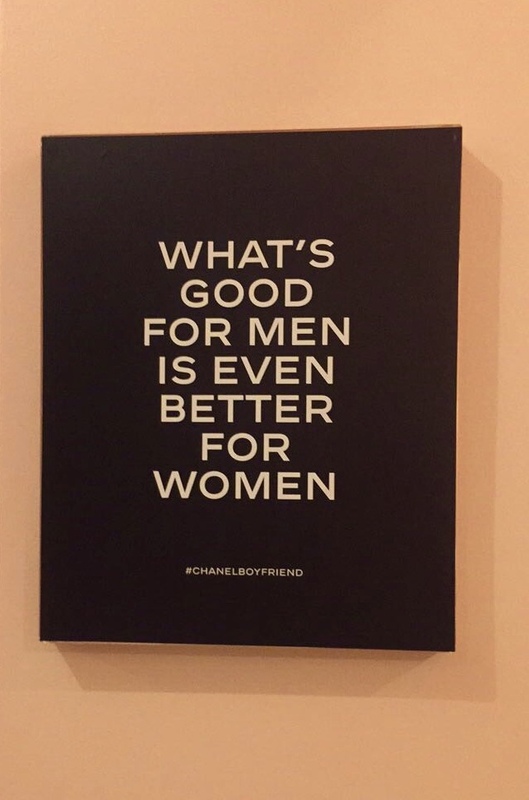 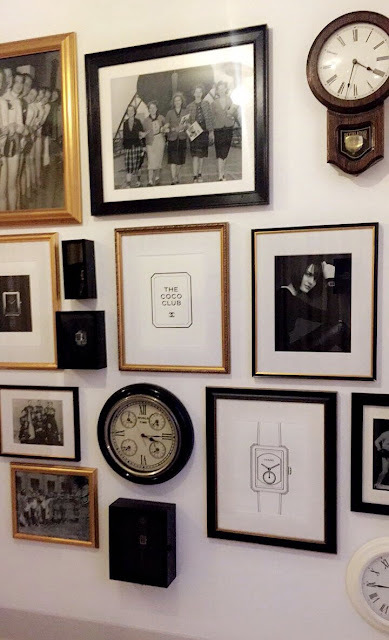 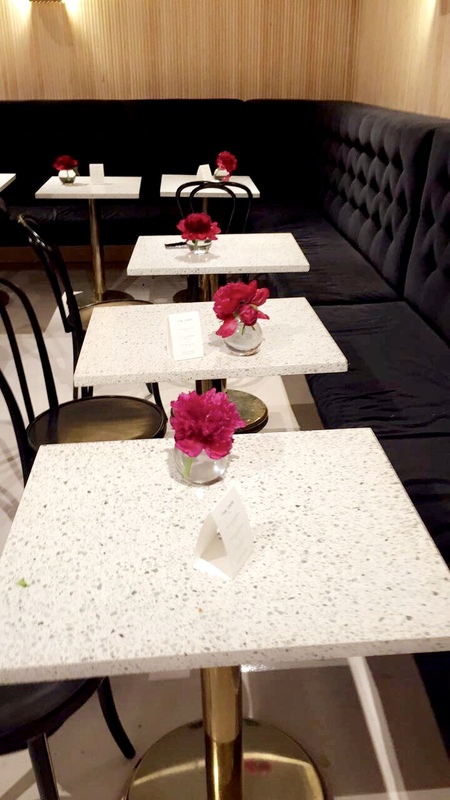 There was a beauty room, featuring all Chanel products, to get your makeup touched up, a Café to grab refreshments and along the walls there were clocks, photos and unforgettable quotes to live by. 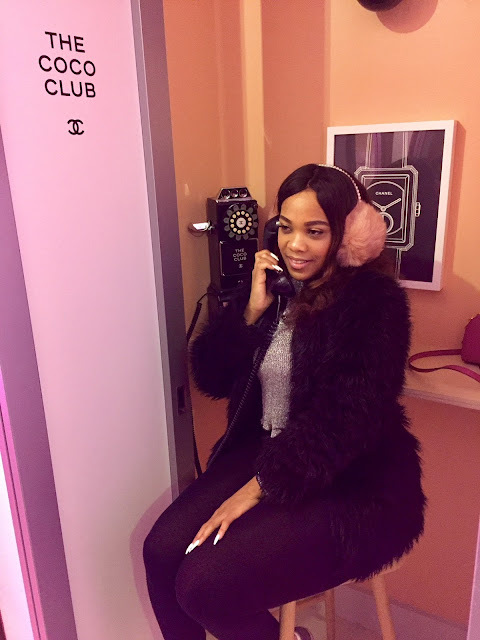 The Coco phone booths seemed to be a popular spot, with Instagram worthy Chanel style phones and quotes. 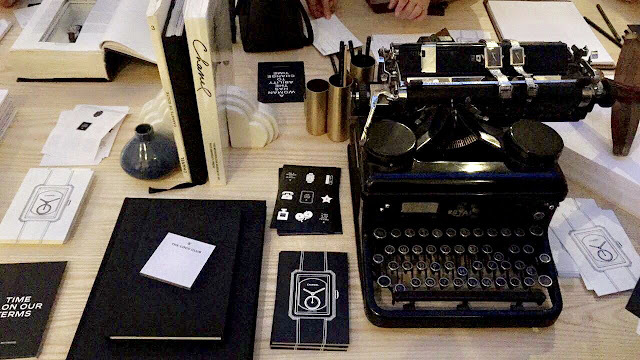 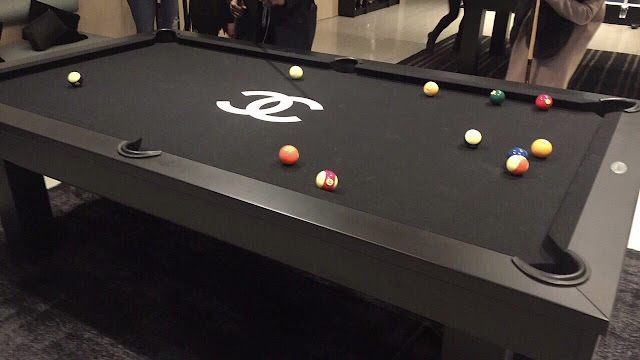 The library & game room were super cute, all decked out with Chanel books, stationary, table tennis, pool table and more. The "Boyfriend Bar" was up so you could browse the new watches. Even the restrooms were girly and fun; the locker room with Chanel showers and towels was a nice touch. 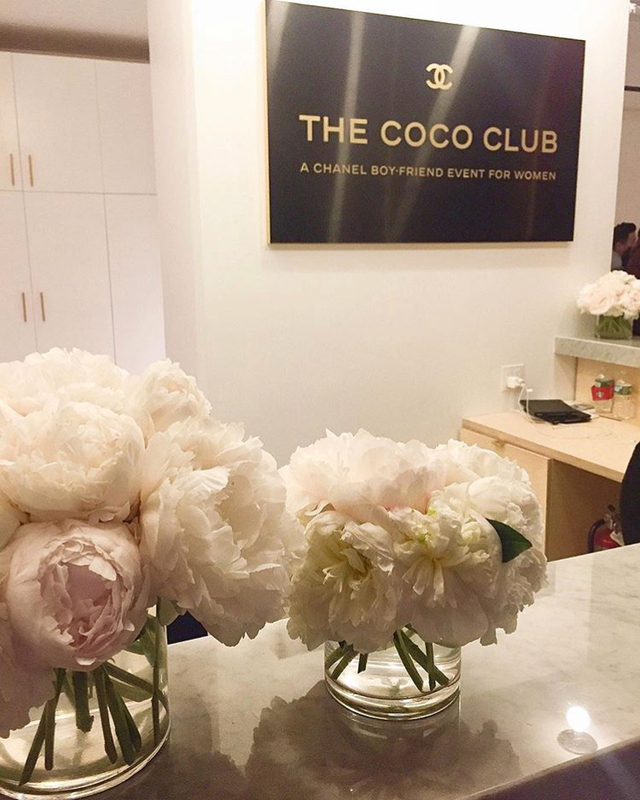 The Coco Club was just a one day event but amazingly embodied all the attributes of an exclusive women's-only club. 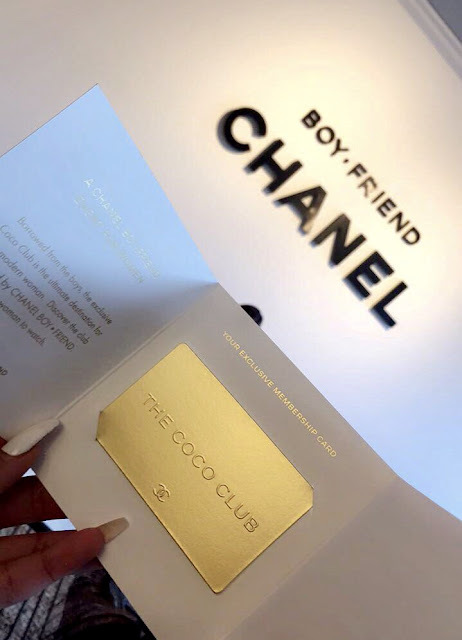 I even overheard people asking about an actual membership! 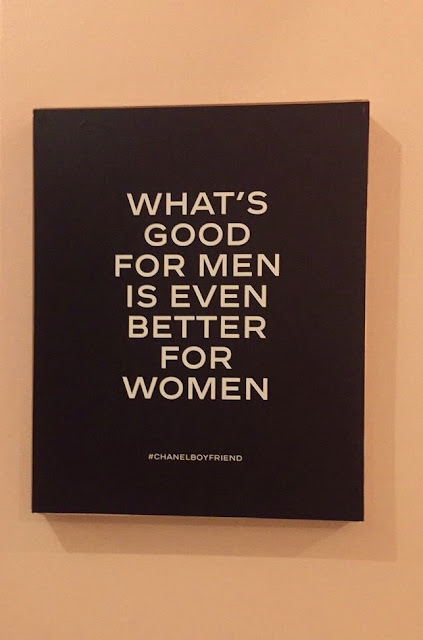 I can't blame them; If it was real, I would probably join myself.